50 years of tires in Germany. What began as a partnership in motorsports in 2009 has grown into a special technological partnership between Pirelli and Heico Sportiv in Germany. The German Volvo specialists rely heavily on Pirelli rubber not only for their upgrade programs, wheel sets, and more, but with their race cars as well. 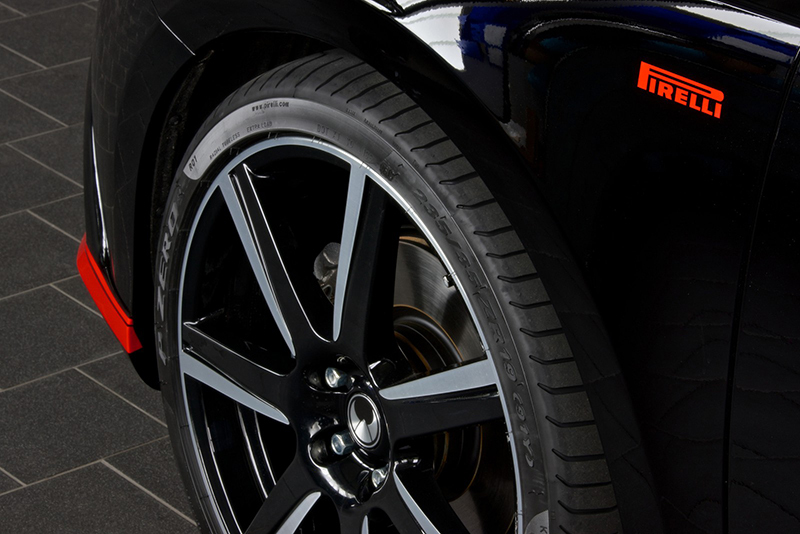 This year, the Italian tire manufacturer is celebrating its 110th Anniversary and 50th Anniversary of being in Germany with a special Pirelli Family Day & Open day at their German headquarters in Breuberg. As part of the celebration, Heico Sportiv will be unveiling their Volvo V40 Pirelli model that sports all sorts of fun stuff including Pirelli tires, of course. 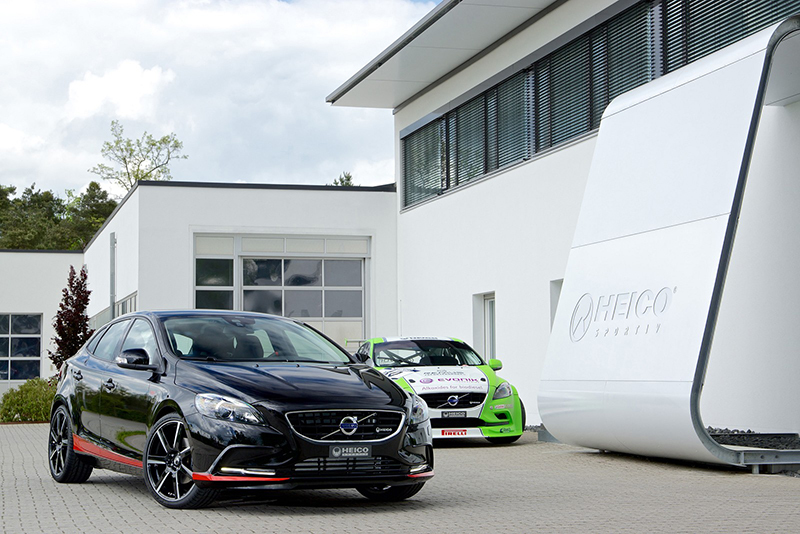 Based on the Volvo V40 T3, the new V40 Pirelli by Heico Sportiv with the turbocharged 1.6-liter engine has been tuned for fun. 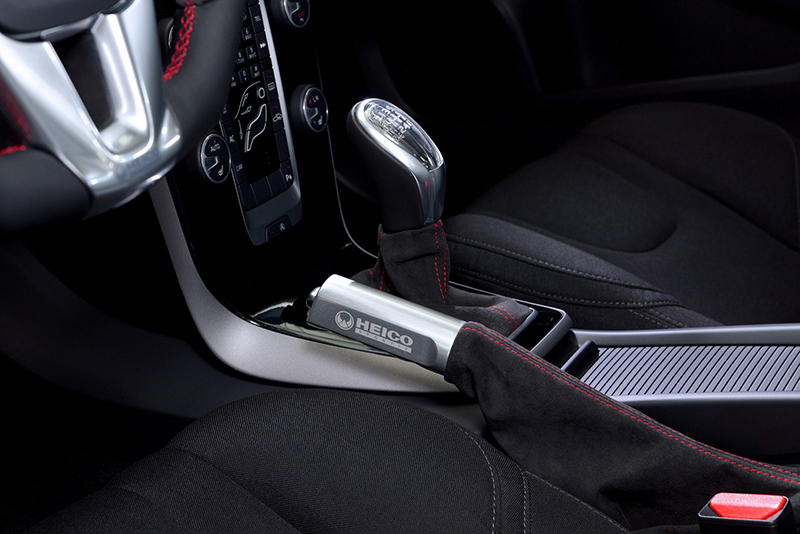 The stock 150 horsepower, 177 lb-ft. of torque output has been turned up a notch thanks to the Heico Sportiv e.motion engine control unit, speedpack, and some new exhaust tips. Output rises in the Volvo V40 Pirelli up to 200 horsepower and 221 lb-ft. of torque from the e.motion tune, allowing the hatchback to accelerate to 62 mph in just 7.9 seconds as opposed to the stock 8.8 seconds. Top speed is also pushed back thank to the speedpack and goes from the stock 131 mph to 143 mph. The finishing touch in terms of aesthetics for the engine is a set of new quad 120 x 74 mm stainless steel tailpipes with black chrome inside and polished chrome outside finish. The exterior didn’t go untouched, as Heico Sportiv paid homage to the Italian tire company with a few new upgrades. The Volvo V40 Pirelli model was outfitted with a new set of 8.0 x 19 Volution VII wheels wearing nothing other than 235/35R19 Pirelli P Zero tires. The entire chassis was lowered by a total of 30 mm to improve the car’s handling performance and create a more dynamic stance. But the Heico Sportiv team wasn’t done there, they installed a new body kit and special Pirelli styling to set the car apart from the pack. PUR-R-RIM polyurethane plastic was chosen for the new components due to its high strength and stability at high speeds. A new two-piece front spoiler adds a touch of performance to the stock splitter and does not alter the safety of the car in any way. Completing the kit is a new rear skirt that mimics a diffuser and accommodates the quad exhaust system’s tailpipes. The final touch is a red decorative strip that runs the length of the car while red ‘Pirelli’ badges sit at the front and rear. 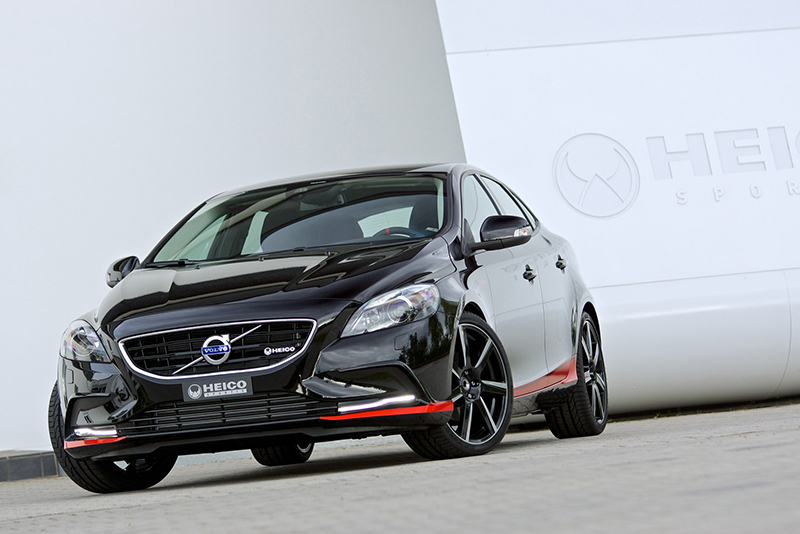 Red and black is also the theme on the inside of the Heico Sportiv Volvo V40 Pirelli. 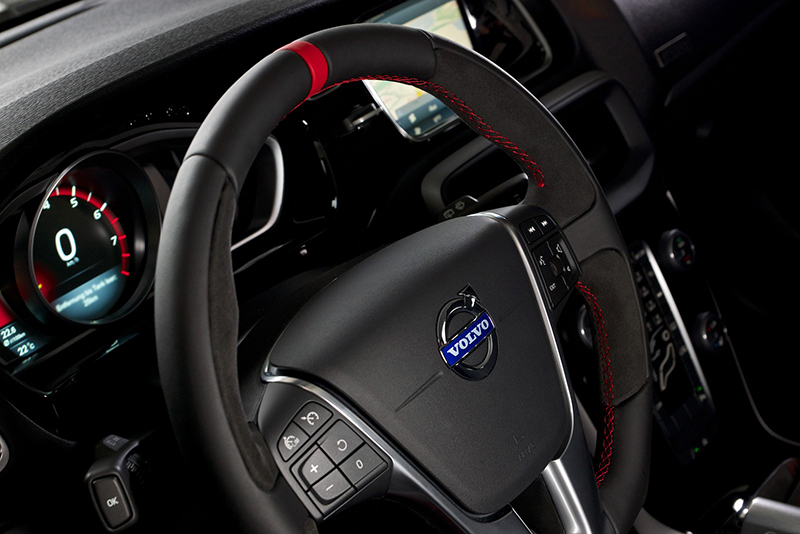 The sport steering wheel with center marker, gearshifter, and emergency brake handle all wear red stitching to contrast the black leather. 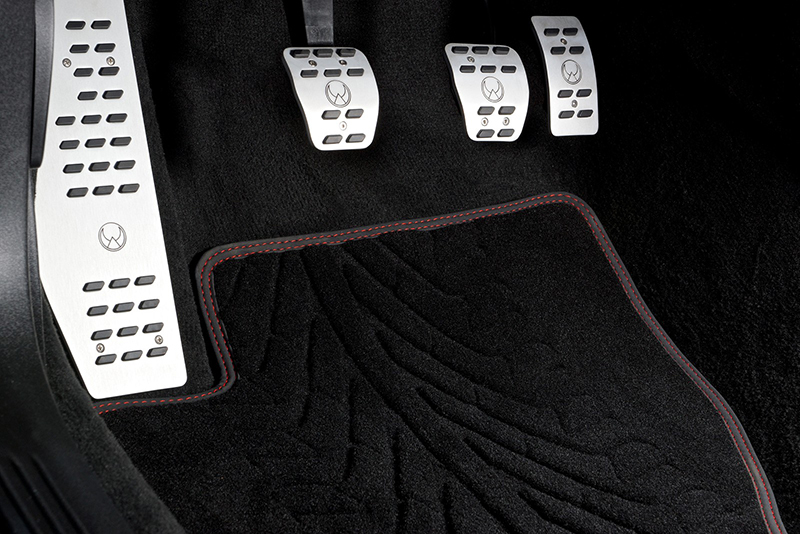 As homage to the tire brand, the velour floor mats with red stitching wear a special tire tread pattern. 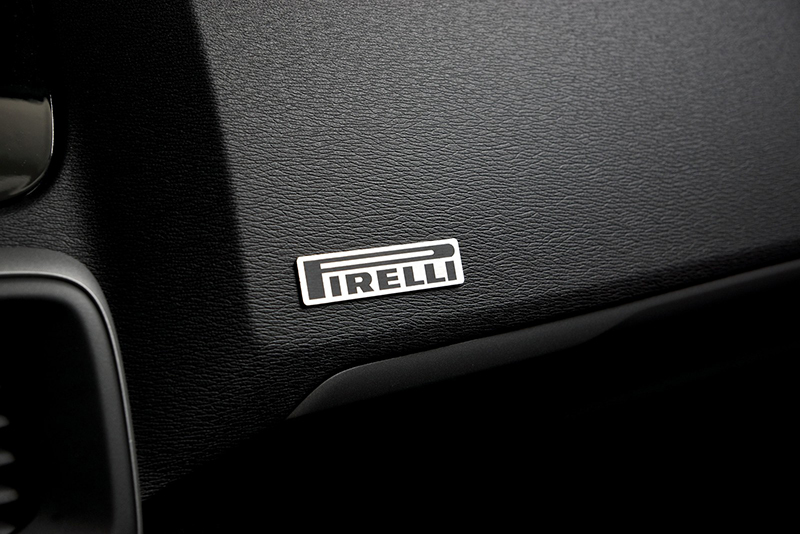 The new Heico Sportiv Volvo V40 Pirelli model can be combined with any other upgrades in the company’s portfolio. The engine upgrades also come with a 60-month Heico Sportiv warranty and do not void the full-service program from the Swedish automaker. -Stainless steel 120 x 74 mm quad exhaust tips with black chrome inside and polished chrome exterior. 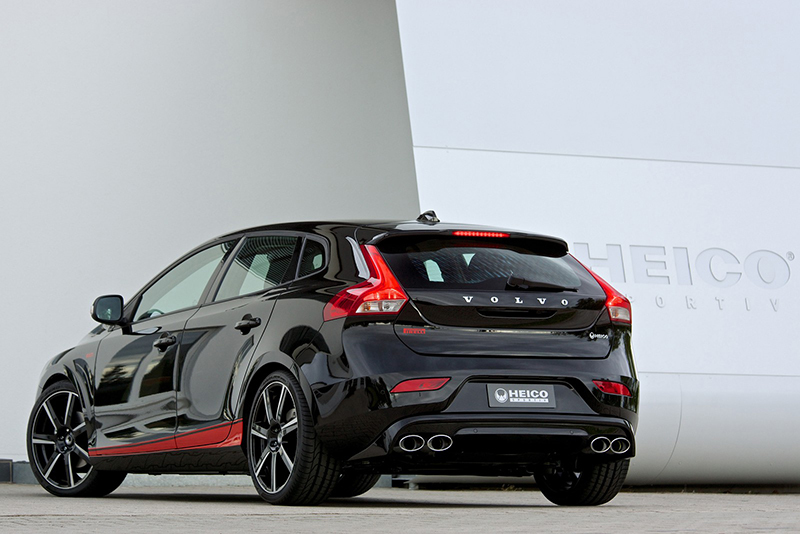 What do you think of the new Heico Sportiv Volvo V40 Pirelli model?